Jamie was born in Kamloops, but soon moved to Nanaimo as a child. He enrolled at VIU to attend the Business Administrative Program. Following his schooling he began his career in the auto industry with TD Auto Finance for 3 years, then later moving to Carfinco for two years as Regional Manager. Jamie relocated to Edmonton, AB. to join the Chrysler family for a year before taking the plunge to open up his first dealership in Surrey, BC with long-time friend Tyler Atkins. With their first year being a success they made the move to a larger location in Burnaby, BC. Tyler was born and raised in Nanaimo where he studied English and Philosophy at VIU before making his way into the auto industry. He spent his first years as a TD Auto Finance Service/Marketing Rep for auto dealers. He was soon head-hunted and brought to Edmonton for his expertise in the area. After a few years of getting his feet wet he opened up the BC Auto Centre doors with longÂ­timefriend Jamie Arens. Tyler's dream car is a Pagani Huayra. Bonnie is a new addition to the BC Auto Centre family. She has done almost every job under the sun including building floating dock for marinas on Vancouver Island, a Mail Clerk for Canada Post, to an Assistant Manager for a popular vegan restaurant. This is her first time in the Auto Industry and she is picking it up at a quick pace! Bonnie has a keen interest in Interior Design and Renaissance Art. She is extremely busy with partÂ­-time studies and full-Â­time at the dealership, however, when she gets a free moment she loves to travel; her next trip is to Buenos Aires,Argentina in the Fall! Raj was a Branch Manager at HSBC Financial for 12 years and on the sales team at Eagle Ridge GM for two years, before coming to BC Auto Centre as a Financial Manager. Raj has the experience to get you into a great vehicle, even if your financial situation isn't straight forward! Andre was born in Montreal, however he soon moved to Vancouver. â€ŽHe found himself getting involved with consumer financing at A&B Sound. Later, Andre joined Americredit as a Credit Manager and soon afterwards developed the concept of Credit Now when he recognized that the internet did not have any Canadian options for online auto financing. Since 2003, Andre has enjoyed getting to know his clients and offering them the best options to fit their budget. Andre has a son participating in football and martial arts, and a daughter that loves to dance. His dream car is a 1967 Mustang fast back. Raul was born and raised in Vancouver. Shortly after graduating high school he entered the auto industry in 2013 to work for two major car companies as a lot attendant before joining the BC Auto Centre team. He has driven hundreds of vehicles, but his favourites are be luxury sports cars. Raul will surely have your car sparkle when you drive it off the lot! Ivan is one of our Finance Mangers. He initially began his life in Mexico but moved to Victoria BC at a young age. After completing his studie at Camosun College, Ivan ventured into the auto sales industry as a Sales/Lease specialist first at Volkswagen and then at a Dodge/Ram Dealer. In a short period of time Ivan was managing a used car lot where he began financing. Ivan will always work hard to get you what you need, when you need it. Whether that is tailoring your finance to fit your budget or getting your into your dream car! Vlad recently joined the BC Auto Centre family as a Sales Associate. Originally from Ukraine, he moved to Canada with his wife in 2013. Vlad started as a Sales Associate in 2014 and worked for two other dealerships before joining BC Auto Centre. Vlad is very goal Â­oriented and strives to reach his goals. He will go out of his way to get you the most comfortable vehicle you can afford. His favourite car is a BMW 5 Series E39 body. Daryl is our Service Manager was born and raised in North Vancouver. Daryl has been in the auto service industry for over 20 years. He was self-Â­employed for a long period of time before he decided to work for Levett Auto Service for the past 5 years before joining BC Auto Centre. Steven is one of our new additions to the BC Auto Centre family. Steven is our Automotive Service Technician. He is born and raised in China, but made his way to Canada 8 years ago. 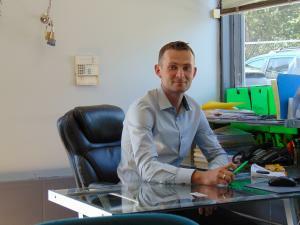 Steven has his Masters in Automotive Engineering which he completed in China. While in Canada, he completed a two year program at BCIT and received the Inter-provincial Inspector Red seal Ticket. Steven is highly educated, knowledgeable and passionate about his job!